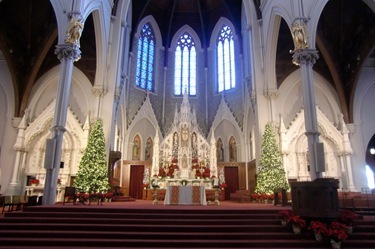 During this most Holy Season, I wish you all Merry Christmas. In last week’s Pilot I published a Christmas message for families. If you have not read it yet you can find it here. 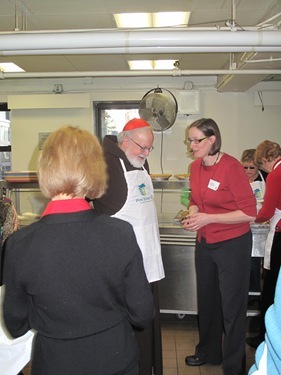 On Christmas Eve, I visited the Pine Street Inn, where I helped serve lunch and met some of the residents. 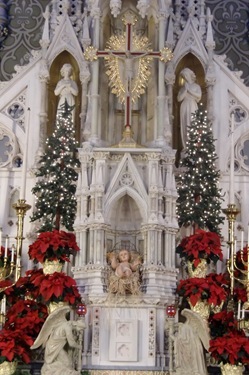 It is right down the street from the cathedral and I visit there every year. Pine Street Inn was founded forty years ago in the Chinatown section of Boston. 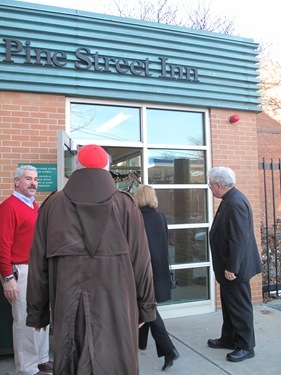 The shelter moved to its current location on Harrison Avenue in the South End in 1980, and over the last 20 years, Pine Street Inn has expanded by constructing additional residences in nearby areas. Today, it houses about 500 tenants in 28 residences in and near Boston. 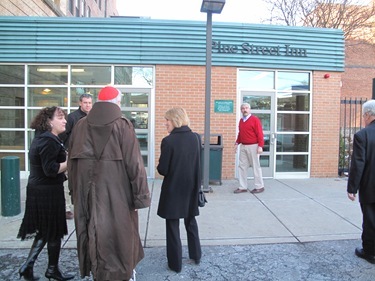 In addition to fulfilling the basic human need for shelter, the staff at Pine Street Inn provides job training and what they call “street outreach” to those who struggle with mental illness or addiction. 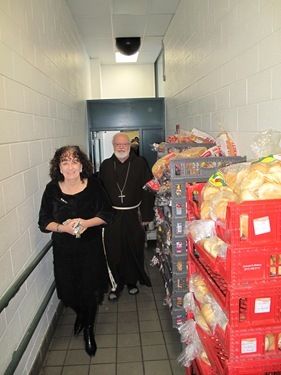 Through this outreach program, emergency needs such as clothing, food, blankets, health care and support and friendship are provided to this population, who because of mental illness or addiction, may try to avoid living in a shelter. 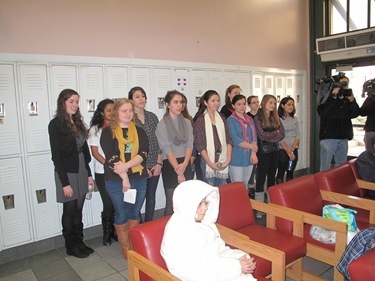 Director Lyndia Downie, and the entire staff are doing a wonderful job there. 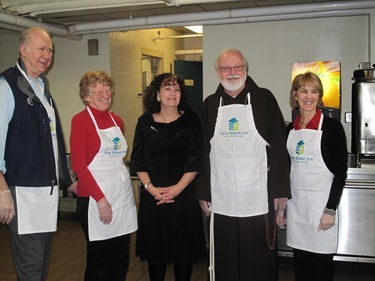 They are doing great work at transitioning people from homelessness into low-income housing. Right now they are working on a project with Lisa Alberghini and her staff at our Planning Office for Urban Affairs (POUA) to develop more permanent housing for the homeless in order to help people move from temporary shelter to permanent, affordable, service enriched housing. To that end, POUA is developing 18 units of permanent housing for homeless individuals at 40-42 Upton Street in the South End of Boston, that Pine Street is co-sponsoring and will manage. Pine Street will also provide supportive services to the residents of the new housing. I will be happy to accompany Mayor Menino on a ceremony to commemorate the start of construction that will be held at the buildings on January 18th at 2:00 pm. Homelessness is a very serious problem. With so many people who have lost their jobs and subsequently not able to maintain their apartments, the number of homeless is on the rise. 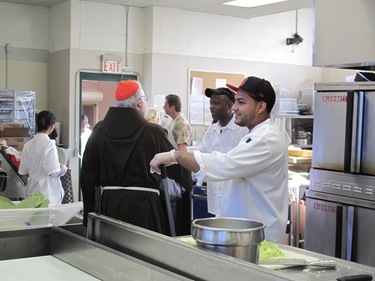 Going to the shelter on Christmas Eve and serving the lunch is a way of drawing attention to the wonderful work that is being done by Pine Street Inn and encourage people to support efforts on behalf of the homeless population throughout our city. It is always a pleasure to talk to the residents and to listen to their stories and hopes for the future. This time I met a woman there who I had confirmed in prison a number of years ago. I am happy to see that she is out of prison. I hope that she will be able to find permanent housing soon. WCVB Channel 5 was there during the visit. You can watch their video here. 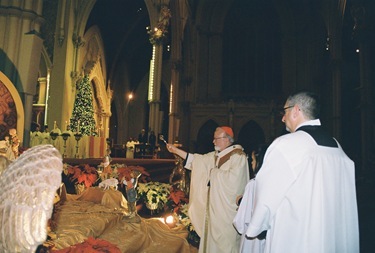 After having dinner with the priests in residence at the cathedral rectory, I celebrated our Midnight Mass at the Cathedral. 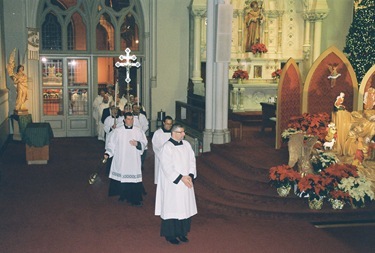 The choir always does a wonderful job, and offers a Christmas concert before the midnight Mass. 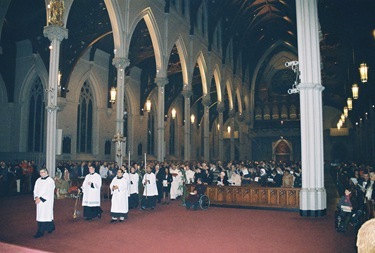 This year the cathedral was almost filled. It really was an amazing crowd. 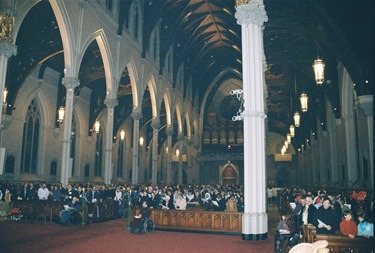 We were very grateful to all of those who worked so hard to prepare the cathedral. 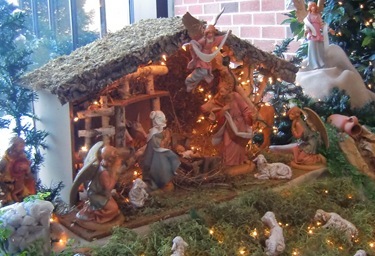 It looked just stunning with the crèche and the other Christmas decorations. 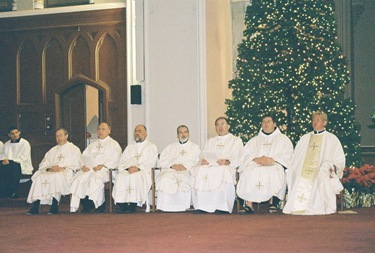 We had a nice contingent of priests at the Mass and, of course, our deacons and servers from the parish joined us. This year we had a new crèche installed. It was beautiful. 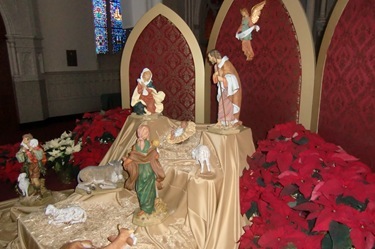 For us as Catholics, the manger is the principal symbol of Christmas and it is one that reminds us of the historical circumstances of Jesus’ birth 2,000 years ago, when our God chose to be born into poverty and obscurity. In that is a very important lesson for all of us. 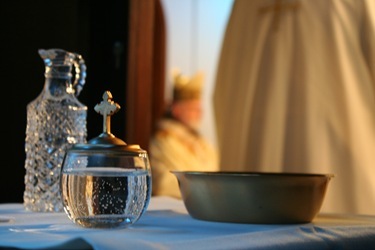 Christmas tends to be a very commercial and materialistic time of year, but the crèche calls us back to the spirit of simplicity that the Gospels teach us. 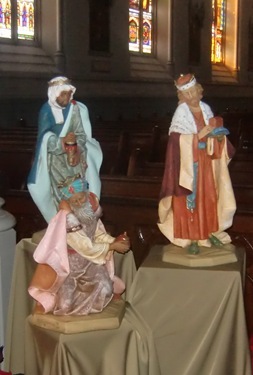 In Bethlehem, there was no room at the inn. 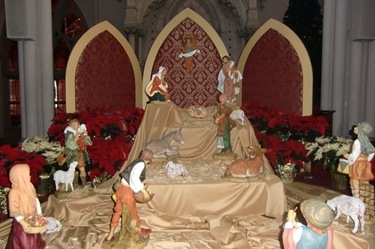 Jesus’ parents were homeless and therefore he was born in a stable. 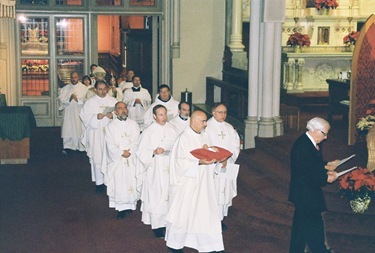 In the Hispanic practice of the Posadas, history is changed and people open their doors and invite the Holy Family into their homes and celebrate the joy of having received the homeless Christ into their homes. 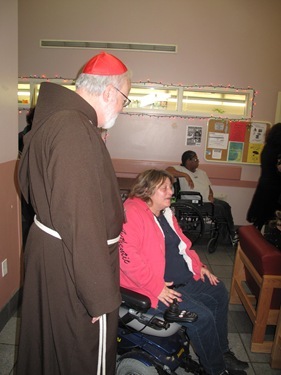 Christmas morning, I conducted a prayer service at St. Francis House, another homeless shelter in Boston. 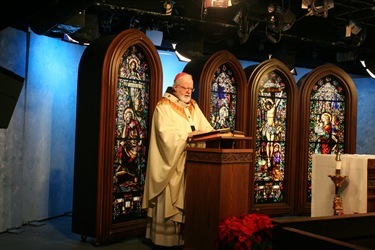 The service included Scripture readings and a reflection on Christmas. 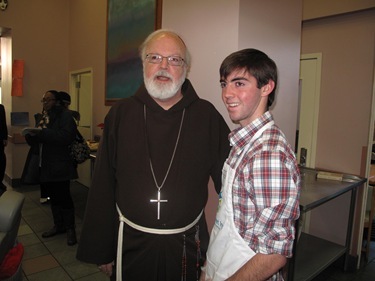 It was a moving experience to be with the people of St. Francis House and talk about Christ’s homelessness. 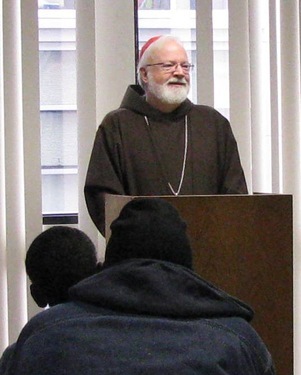 St. Francis House is located on Boylston Street. 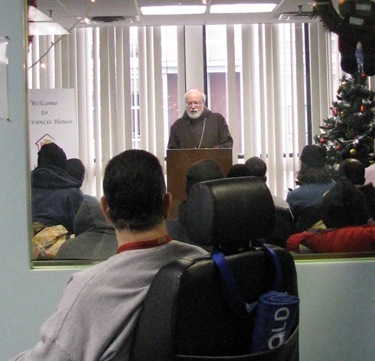 Since 1984, the staff there has been providing residents with so many other supportive services and basic human needs including food, clothing, health care counseling, vocational rehabilitation and job training. 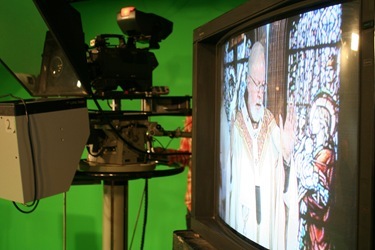 Afterwards I said a television Mass, which was aired locally on WHDH, Channel 7. 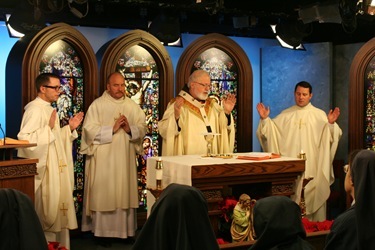 We were very pleased to be able to transmit the Mass basically to all of New England at 11:00 Christmas morning, and to have that time slot. 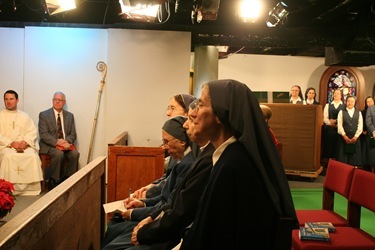 I am very grateful to Father Reed, Jay Fadden and the Daughters of St. Paul, who supplied the music for the Mass, and of course, Deacon Pat Guerrini, who after having helped at Midnight Mass, was also there to diaconate at the television Mass. 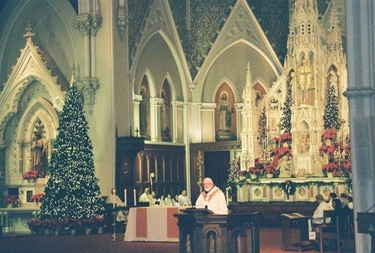 Returning from the Christmas Mass, we stopped by to visit our retired priests at Regina Cleri. Many of them were out visiting their friends and relatives, but some were having their lunch there. 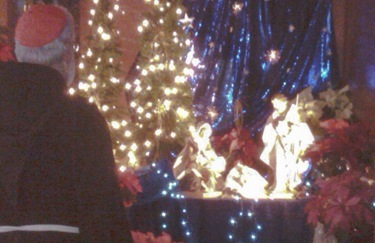 It was good to see everyone, as well as the festive decorations at Regina Cleri. 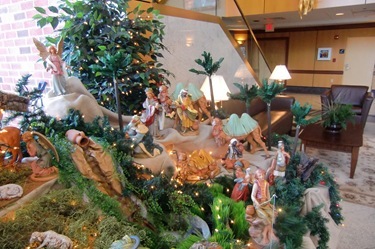 Among my favorite decorations there is their crèche, which I made sure to get a picture of to share with you. 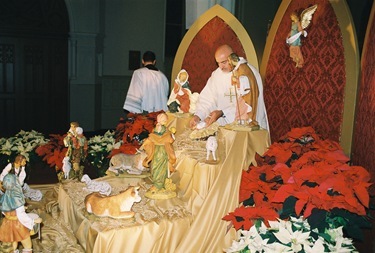 The Sister Disciples decorated. 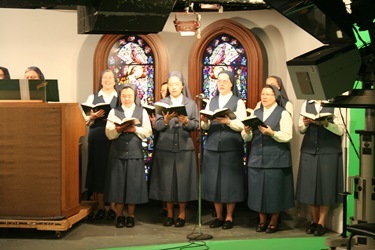 They are the same sisters who decorated our Pastoral Center in Braintree so beautifully this Christmas season.